At the heart of chiropractic care is an understanding that the well-being of the spinal cord is important for a fully functional nervous system. Because the nervous system controls every cell and organ in your body, chiropractors concentrate on the health of your spine. Chiropractors like Dr. Aaron Richardet pride themselves on having a natural, medicine-less path to help their patients meet their health goals. Basically, the whole concept behind chiropractic care is that the human body has the innate ability to heal itself. And the chiropractor’s task is to create an atmosphere to boost this process. For some reason there is a lot of misconception regarding chiropractic care. People have a number of mistaken beliefs regarding this medical subject. We have compiled a list of top 10 myths that you need to stop believing right away! An adjustment is one of the most common treatment methods used by chiropractors. It is also known as spinal manipulation therapy. It is a non-invasive, manual procedure that is employed by a skilled professional on dysfunctional or extreme joints. This myth exists because of the sounds that are made during this procedure. But those popping noises are not your bones cracking. These sounds are made by the release of gas bubbles between the joints. Once you start seeing a chiropractor, it is not absolutely necessary that you will need to get the treatment for the rest of your life. As the treatment proceeds, your chiropractor will make evidence based recommendations. You can decide upon how much chiropractic care you want. Once you are aware of the numerous benefits of this treatment, you can choose lifelong chiropractic care. But it is a completely a personal choice without any obligation from the chiropractic professional. It is an obvious fact that your neck and spine are essential parts of the body and you only want to entrust them to certified professionals. Chiropractors are considered as primary care practitioners. They have a 4 year undergraduate education regarding various scientific methods. In addition to this, they also have to complete 4 to 5 years of study at an accredited chiropractic university. These years of education provide them with a lot of exposure and clinical experience. Hence, they are well prepared to treat a variety of cases. Chiropractic care for children is considered highly dangerous and risky. But in reality, research shows that it is safe. Children are highly vulnerable to trauma and accidents as they grow. Checking for abnormalities during this growing stage is essential for healthy development of the child. Research has proven that children who undergo this care have lesser colds and infections. And even if they do fall sick, the symptoms of the ailment do not last long. Helping the patients with back aches is part of their profession, but they are also adept enough to treat other conditions. 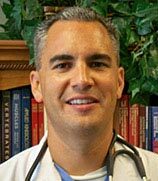 An expert chiropractor like Dr. Aaron Richardet can treat a number of ailments. Patients with problems like headaches, neck pain, tendonopathies, osteoarthritis, ligament sprains and chronic pain syndromes can also benefit from chiropractic care. People who have experienced the health benefits of chiropractic care, believe that this treatment improves the quality of life. Studies have showed that the treatment provided by a chiropractor is 20% cheaper when compared to a medical doctor. The costs of surgery and rehabilitation are far more than that of conservative chiropractic care. Generally, a spinal adjustment will not hurt at all. In fact, the patients feel great relief after undergoing this process. In some cases such as an acute injury, you may feel a brief discomfort. This is not because of the adjustment, but because of the extremity of your injury. Over time your nervous system integrates the effects of the adjustment, and you will feel a prolonged sense of ease. In reality, there is no scientific proof that shows that there is an increased risk of any serious event following a chiropractic adjustment. A recent study suggested that the chance of having a stroke from a chiropractic adjustment is about 1 in 80,000,000. It has been established that this form of treatment is safer than many medical methods. On the contrary, there are thousands of studies that prove its validity in the health care arena. They have proven the positive benefits of chiropractic care including reduced pain, increased immune function, general well-being and increased brain functioning. It has also displayed positive results over pharmaceutical management when dealing with neck and back pain. This is a completely wrong notion. Chiropractors have been trained and certified to carry out this task. You definitely cannot do it on your own. There are many people out there who try doing it themselves and when they hear a popping sound they think that the procedure was successful. But this does not mean that you adjusted the right joint. Experts chiropractors like Dr. Aaron Richardet, use specific adjustments. As a result, they are able to properly restore joint motion, improve and provide lasting relief. 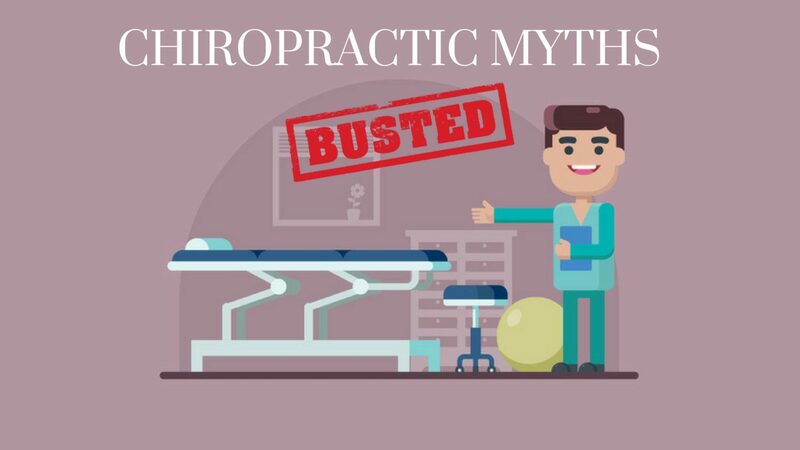 If you were one of those people who believed these myths to be true, you now know that the treatment offered by chiropractors like Dr. Aaron Richardet is effective and helpful. Chiropractors can help you with a number of ailments and enable you to live a healthy and active life. Their treatment can help you keep your nervous system in order. As a result of this your whole body will benefit. If you are reluctant in getting a chiropractic treatment, now is your time to sign up for one!